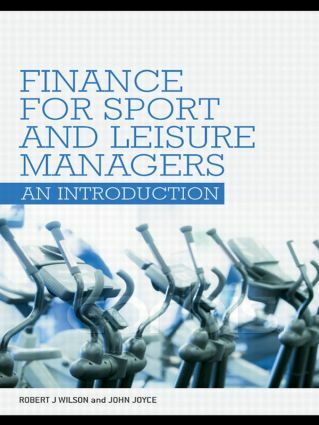 Sport and leisure managers need to understand the financial side of their industry to offer the most cost-effective facilities and to make sound business decisions. However, to the non-expert the language and practice of finance is often bewildering and perceived as complicated, difficult and impenetrable. This textbook guides the reader through the maze of financial terms and concepts, illustrating theory with examples drawn specifically from sport-based contexts to make this the most relevant, transparent and helpful handbook for students of leisure management available. Written by experts in accounting and sport management, this book enables readers to work through the subject at their own pace, with case studies, worked examples and self-tests to ensure students can apply their knowledge to industry-specific situations. Ideal for students on sport and leisure management courses, this book will also be valuable to practising managers who need a quick-reference guide to everyday financial questions.